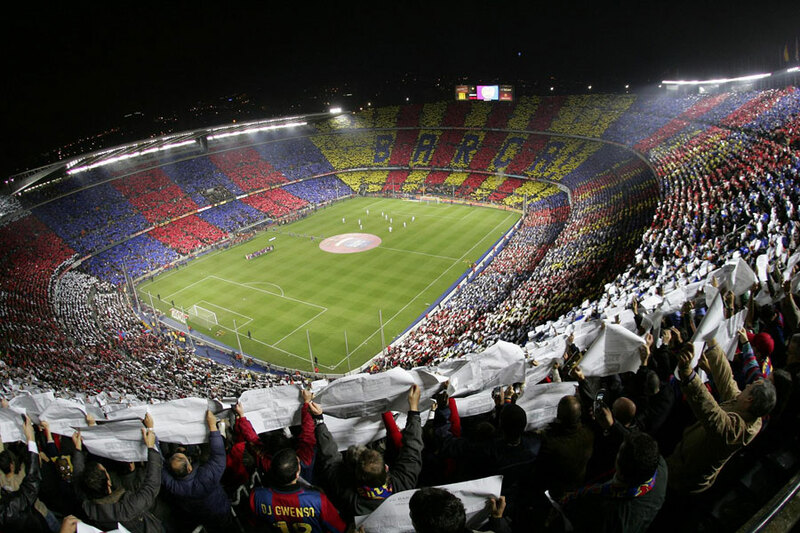 Welcome to Tickets2BarcelonaSoccer.com, the site for all soccer fans wishing to buy tickets to FC Barcelona and RCD Espanyol in La Liga, The Cup or to European matches on Camp Nou or Cornellà el Prat. Here you can easily, quickly and securely book tickets to FC Barcelona and RCD Espanyol before you leave home! Sat, 27 Apr 2019, Camp Nou. Within the price for a VIP Balcony Category ticket you have access to Berlin Lounge where there will be drinks and appetizers before and after the game. 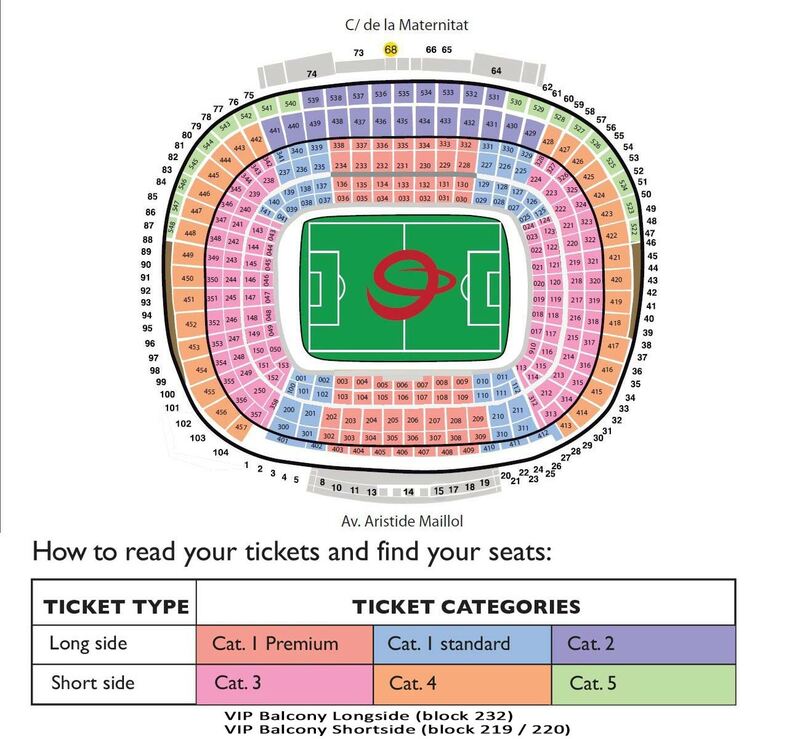 Please note that there is a dress code for VIP Balcony tickets: No shorts, sandals, away team shirts, FC Barcelona shirts and scarves are allowed inside Berlin Lounge. 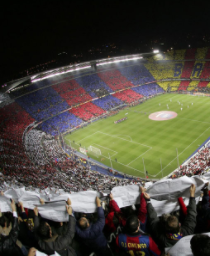 CATEGORY SIGHTSEEING Camp Nou and Museum Tour : The Category Camp Nou and Museum tour is a separate ticket for the very popular tour at the Camp Nou. You will be given an English commentary through your headset, which will be supplied to you at the start of the tour. You will be shown parts of the stadium not normally shown on TV such as the locker room for opponents and the press room, and you will be so near the benches and field you can almost touch them. All through the tour there will be many photo opportunities. The tour finishes at the FC Barcelona Museum where you can see many of the trophies the club has won during the years! Then you can go straight to the Official Megastore where you can buy all sorts of souvenirs, scarves and your personal FC Barcelona jersey with either your own name on the back, or the name of your favorite player! The ticket is valid for one visit only on the day and time of your choice, and the ticket can be picked up at our agent’s office together with your match day ticket. By booking your tickets here you can skip any lines prior to the start of the tour. PLEASE NOTE: The tour is not included in the match ticket! The tour is closed on MATCH DAY! Monday to Saturday from 10:00 AM to 5:30 PM. Sunday and bank holidays from 10:00 AM to 1:30 PM. Closed match day, the day before a Champions League match, December 25th, and January 1st and 6th.